Just to let you know that we have spoken with Kinesis and asked to interview someone from there and they have promised to get back by next week. We have also sent out a personal invitation to Andrew Maguire separately. Bumble has provided an excellent response. The issues raised and comments made are difficult to refute as most financial insiders, when discussing these issues privately, acknowledge that the world’s monetary system is on a path to its ultimate destruction. Where views differ however is the timescale, the tipping point, and the type of phoenix which will arise from the ashes. thanks for the heads up – sorry to take so long coming back to you but I thought IS had (you will be aware he was in Italy on business for the week). I did draw his attention to your message & I believe the loophole is now closed. The general rule of thumb for investing is to buy when ‘there is blood in the streets’ (not literally). Providing you have satisfied yourself that the economies are fundamentally sound and that the downside has less further to go compared with the upside, and you can afford to lose the money you invest then it makes sense. Yes visited Cardiff yesterday – very scary lol. Off to Rome in March – a much needed week off. Having said that hopefully will be taking a number of pictures to share. Have a visit scheduled for the Vatican – no doubt will encourage some controversy. Just thought one would add some spice to this discussion. Banks (not central banks) are businesses with a requirement to provide ‘returns to shareholders’ and offer ‘value’ to customers. Our experience has been fraught to say the least. Originally our microphone was not up to scratch. So we purchased a ‘blue condenser mic’ which is the type we have seen many of the ‘larger’ YouTubers use. Yet this did not work too well with our i5 desk-top as we had a slight whirring sound in the background. Great commentary – thank you Cabadejo. Yes we have mainly used Bullion By Post, Atkinsons (which tends to be a little cheaper when buying and offer you more when selling) plus silver-to-go. We have used Chards but only once and of course strike deals with pawn shops and very occasionally charity shops. Frankly we would not disagree with what you have stated. It looks like our reply over 2 weeks ago was not recorded – so apologies for the delay. Yes we have a lot to add about China and India too as these are still going to be the major economic growth engines as well as gold and silver purchasers for many years to come. Please watch out for various videos and articles early in the New Year. 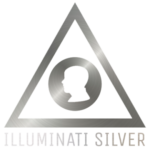 We shall produce some articles on this shortly – after asking my relative – as certain types of nano silver are fine to use while others build up in the body and can cause harm – so before we do this we shall make sure the information is totally accurate. We have noticed that Greg hasn’t replied to this – sorry – its possible that he missed it. It’s a great question and truthfully one we would prefer to answer via a sequence of videos and articles where we can go into more detail. One of the fastest ways in which this site and channel will grow will be the result of us listening to each other and through your participation on the Forum. One of the fastest ways you will gain most benefit from this site and channel is to let us know what you would like to see included and to make suggestions on how to improve it. Not enough data is available to answer your questions with certainty quite yet. However, our feel from the market and speaking with Investment Managers is that many have moved to quite large cash reserves and are also looking at Japanese and South Korean equities.